Naturally healthy hypoallergenic food for dogs. An answer to loose bowels, easier to scoop the poop. None of the ingredients that cause most food allergies (i.e. no beef, wheat or dairy products). 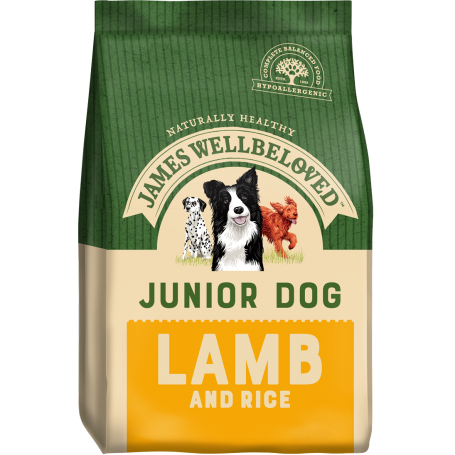 Activity-balanced proteins to help calm hyperactive behaviour. Wholesome, natural hypo-allergenic dog food. Helps loose bowels and calms itchy, irritated skin and coat. 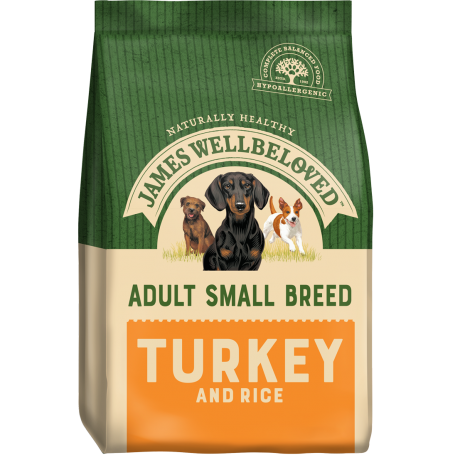 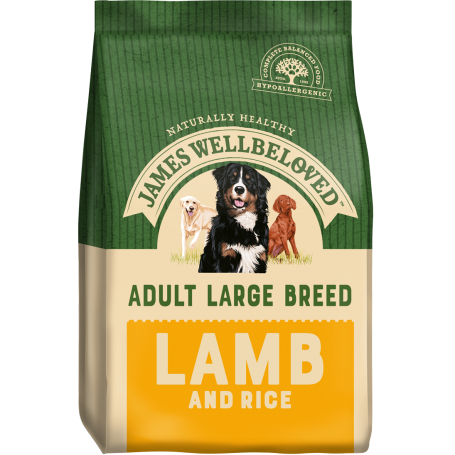 The foods shown below are kept in stock but we can offer the full range of James Wellbeloved dog foods for you all at discounted prices, please call for details.